ABUJA – An Abuja-based cleric, Prophet George Fakolade, the leader of Divine Intelligence Ministry, has prophesied that President Muhammadu Buhari would leave office as President in 2019, as Nigerians would elect the Minister of Power, Works and Housing, Babatunde Fashola, to replace him. Fakolade, who made this prophecy known in a statement issued to journalists during the weekend, also said Mr. Fashola would make his cabinet ready before assumption of office, step-up the fight against corruption, spare no sacred cows, and heal the nation of the many maladies plaguing it. He also noted that the incumbent Director-General of the Department of State Security (DSS), Lawal Daura, would continue in office under Mr. Fashola for the sake of continuity and in the interest of the nation. He said: “Mr. 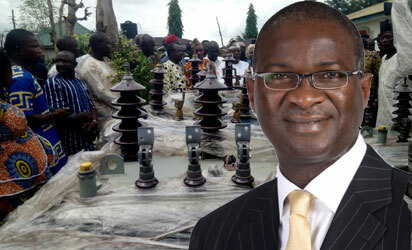 Babatunde Fashola of Lagos state is the person chosen by God as President and Commander-in-Chief in Nigeria come 2019. The post Fashola would take over from Buhari in 2019, says Prophet Fakolade appeared first on Vanguard News.